General TV Channel / Channel A is a nationwide generalist cable TV network and broadcasting company in South Korea. The company's largest shareholder is Dong-A Media Group (DAMG), which consists of 12 affiliate companies including The Dong-a Ilbo. Channel A was launched on 1 December 2011. Channel A's management philosophy is 'Open & Creative' and the company slogan is 'Channel A, A Canvas that Holds Your Dreams.' JaeHo Kim currently serves as the chief executive officer of Channel A. 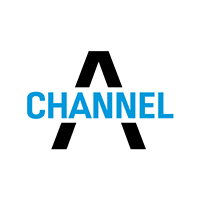 Channel A is one of four newly launched South Korea nationwide generalist cable TV networks alongside JoongAng Ilbo's JTBC, Chosun Ilbo's TV Chosun and Maeil Kyungje's MBN in 2011. The four new networks supplement existing conventional free-to-air TV networks like KBS, MBC, SBS, and other smaller channels launched following deregulation in 1990.